I’ve been running now for just over 24 years and have seen a fair share of different running shoes in that time. So far none of those models have received the title of being crowned my all time favourite shoe. There have been some close runners, some potential medalists, and even some that have been ahead on the score cards until a last minute knock out has prevented them winning the title! However now there are some new protégé’s, some young fresh talent that could potentially win this elusive title and go on an unbeaten run that even Mayweather himself would be delighted with! 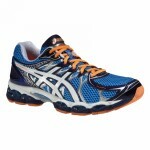 I want to discuss 4 shoes, I feel have revolutionized the neutral running shoes market. Sometimes the neutral category can often become a bit of a minefield, or even resemble the music industry with many of the models fighting for the same number one spot, until now. These 4 shoes selected are by sporting terms the Southpaw to orthodox, and the sitter and kicker to the long runner for home! Talking of a long runner for home, this is exactly how I see the Brooks Glycerin within the neutral category. For years now the BROOKS GLYCERIN has been making steady progress, the cushioning has moved with the times and has in recent years moved from a standard neutral running shoe to a shoe that can suit a runner who requires the slight security of a small amount of neutral stability. 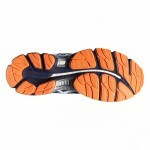 Its cushioning adapts particularly well whether you’re running slowly or trying, in my case now, to turn your legs over quicker and run at more of a tempo speed! You can really feel the DNA work with its softer sensation when running slowly to how it becomes far more responsive when running a pace. Its upper might be slightly bright, but certainly wide enough for most widths and with the introduction of heat bonded materials there is now less need for stitching on the upper, which also helps keep the weight down, especially for a high mileage shoe. 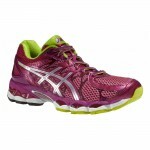 I see the ASICS NIMBUS as a shoe most similar to the Brooks Glycerin in the 4 shoes I have highlighted. Once again this shoe has been around for years, it won its first professional cap back in the late 1990’s when the likes of Mo Farah were still coming up through the school athletics system! Its cushioning has improved as much as Mo himself has over the years, with a definite increase of overall cushioning in the forefoot which doesn’t add any extra weight to an already very durable shoe. There are several little features that really make this shoe what it is. The introduction some years ago of the biomorphic fit has definitely changed the dynamics of the upper as it stretches and moves naturally with your foot. Once again this really helps especially for someone with a slightly wider foot, or just somebody who prefers extra room in and around the toe box. Finally the Personal Heel Fit (PHF) or memory foam is another great little feature that adapts over time to the natural shape of your heel. One thing I would stress about this is that early on it can feel slightly loose until the foam adapts and shapes itself around your heel dimensions. The ON CLOUDSURFER on the other hand has been a revelation in this category. 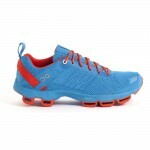 It’s fresh look and rather simple colour scheme actually makes the shoe stand out far more than most would think. 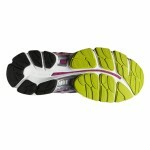 The cushioning is incredibly soft and will adapt to both horizontal and vertical impact forces. The cloud cushioning is based on its original prototype of a cut up hose pipe, but is far more effective and extremely comfortable. 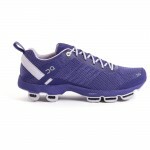 Some people would refer to the shoe as a natural running shoe, for me this shoe lets your foot do the work and kindly gives you the independence when running and not controlling your foot in a way you don’t want from a neutral shoe. The Adidas ADISTAR Boost range is definitely one of the newer protege’s, its a shoe that can be orthodox or southpaw and can mix it up with the best of them! The new technology introduced by Adidas known as Boost, resembles the look of polystyrene but is quite possibly the most responsive cushioning you will experience to date. They have left some of the original EVA midsole in the rear-foot which ensures it can switch hit, much like a boxer and firm up the ride in the heel area and provide a slight level of overall support and control. It has a totally seamless upper which is almost entirely made up of material similar to neoprene which ensures the shoe is particularly light. If I were to score these shoes from best to worst, the Adidas ADISTAR Boost at 1, the ON Cloudsurfer at 2, Brooks Glycerin at 3 and Asics Nimbus at 4. The Boost is my stand out shoe, winning this fight off by a unanimous decision with me being incredibly close to crowning this the best shoe I’ve ever run in. We all suffer from muscle tension and tightness and it’s often caused from repetitive patterns of movement, running an obvious example. Resistance training and poor lifting techniques can also cause tightness and knots and can make life pretty uncomfortable. A simple thing you can do to alleviate the pain and help restore comfortable and proper movement patterns is myofascial release, commonly known as foam rolling. Myofascial release involves applying pressure to certain areas or trigger points of your muscles. It releases any tension between your muscle and the fascia surrounding the muscle, removes and prevents muscles knotting and improves the healing and recovery process. It also been shown to increase flexibility and subsequently reduce the risk of injury. It is in simple terms a method of self-massage; you get to choose where you target and how much pressure you apply. I’d be lying if I said it didn’t hurt, but it’s short term pain for long term gain! The two common methods of myofascial release are using foam rollers and handheld roller massagers, the former being the most popular of the two. Foam rollers are cylindrical in shape and pressure is applied by lying the muscle in question on the roller and rolling back and forth. We stock a range of both rollers and handheld massagers but I’m going to focus on just a couple. Pro-Tec offer a plain and simple, single density, smooth surfaced, foam roller offering even distribution of pressure to the muscle. 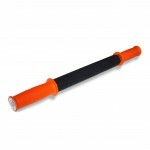 The roller comes in two lengths of 18” and 35” with a 6” diameter and a travel size roller of 12” x 4”. At the lower end of the price point, it’s a perfect roller for when you’re just getting started and don’t want to experience too great a pressure. As well as this, Pro-Tec also have their Y-Roller; a foam roller with raised single and dual ridges offering you a more aggressive and targeted massage, but still with the smooth surfaces in between for a less aggressive, moderate massage. 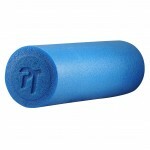 The clear favorite in the foam rolling world is the Grid foam roller by Trigger Point Therapy. With a patented grid system of varying widths and densities, the Grid offers a massage that mirrors that of the human hand. The small squares act as thumbs, the long ridges as fingers and the large smooth areas as palms. You can choose which area of the roller to work on, with the smaller squares offering the most pinpoint pressure and subsequently the most pain! Again this is available in two lengths of 13” and 26” as well as a variety of colours. They also have a mini-grid, perfect for traveling as its just 4” in length. However, if rolling around on the floor isn’t for you then the handheld massagers are a great option. 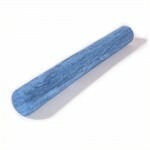 Simply a thin foam roller with handles on either end, you roll the massage stick over the muscle applying as much or as little pressure is needed. The Pro-Tec roller has raised Vynofoam sections that sink into the soft tissue, with rounded foam grips on either end, ideal for providing accurate pinpoint pressure to individual knots. The Tiger Tail is a second brand of roller massager, but offers a consistent distribution of pressure across the muscle. Both are easily packable for travel, easy to clean, easily adaptable for all muscle groups and very easy to use. So if you’re struggling from tight, knotted muscles or are wanting to improve your recovery rate, either method of foam rolling should do the trick. For other massage tools and injury prevention products take a look at the Injury Treatment page or visit us in store. I use the Trigger Point Grid; the smaller squares offer that more intense massage which I find necessary and it’s light and easy to travel with. I do occasionally have the odd knot that won’t seem to budge, so for these I use Pro-Tec’s Spiky Ball. It’s a small, hard, spiked ball that’s just 3” in diameter. I lie on the ball with it directly on the knot, grit my teeth and wait for the pain to subside. I then massage the area gently and then go again. It hurts, but it really works and releases a lot of tension and discomfort.